Personal style blogs mean it takes personal work. I don't walk around with a world-class street style photographer following my every step, so I get things done with my DSLR on timer mode at the balcony. Oh, and the baby in his high chair, out of the picture but definitely feeling very amused. Sweater, ZARA. 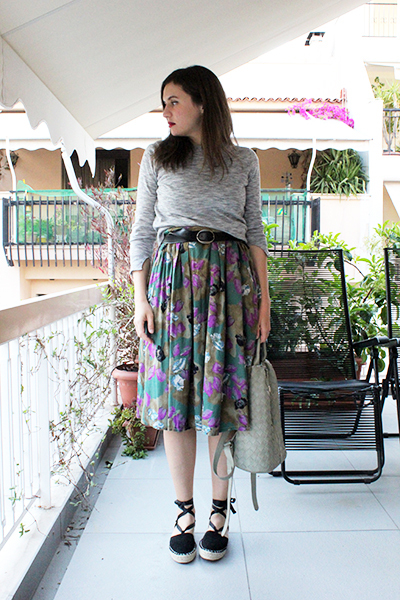 Floral midi skirt and black belt, vintage from my mum's closet. 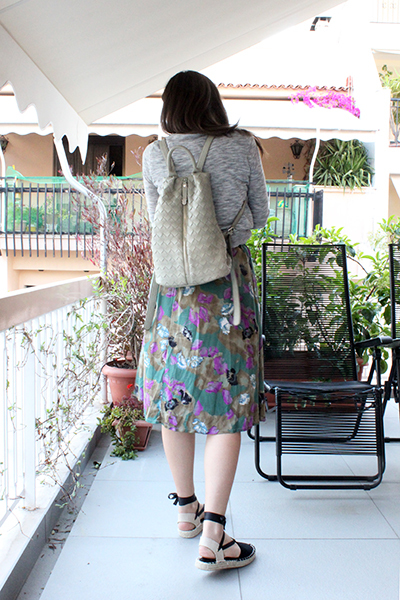 Black lace-up espadrilles and backpack, MIGATO.